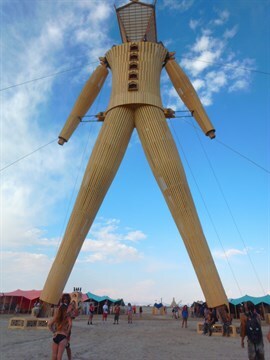 An opportunity to attend Burning Man in the Nevada Desert came up last month so I floated the idea on Facebook and was astounded by the support and curiosity of my friends. The consensus was GO! Don't worry, you'll be fine. It's a once in a lifetime opportunity. With only 2 weeks to prepare for an event that normally involves a year of planning, it was a disorientating whirlwind. Luckily for me, I had borrowed dust googles to navigate the storm! I left Australia on August 21 with a suitcase full of costumes and desert-wear, attended 'The Burn' and then decompressed down in Mexico at the TBEX travel bloggers conference. 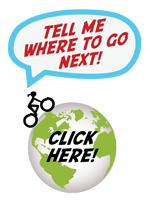 Since my return I've been asked repeatedly, "So…. how was it?" A simple enough question but where do I start? Burning Man requires serious unraveling so instead of a normal narrative I'm recreating my experience as pieces of a puzzle in a series of posts. Whether you're interested in the logistics (What do you eat? How do you shower?!) or you're dying to know who attends and what they wear (is everyone naked?!) you can dive in and out of these posts as your curiosity demands. And please, if you find this story interesting or have more questions I'd love to hear from you in the comments. 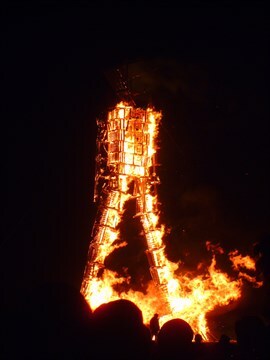 NOTE: I am posting one link per week as I tell the Burning Man story post-by-post. OVERVIEW: What's it about, how does it work? LOGISTICS: Getting in, Getting Dusty! 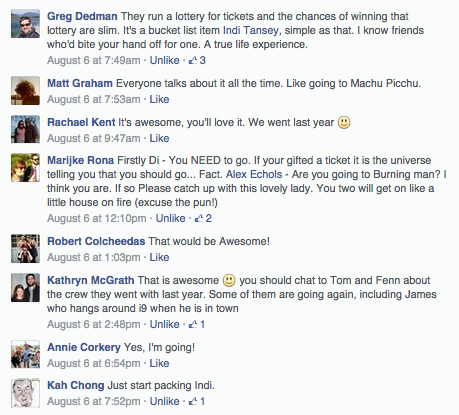 PEOPLE: Who goes to Burning Man? EMOTION: What does Burning man feel like? AFTER SHOCKS: What happens next?